Some people have favorite presidents. I’ve never been much for politics, but this book has helped me start picking some favorites. Truman, FDR, and Obama being the first that come to mind. Not because of their political actions, but because their feelings on drinking seem to match my own. 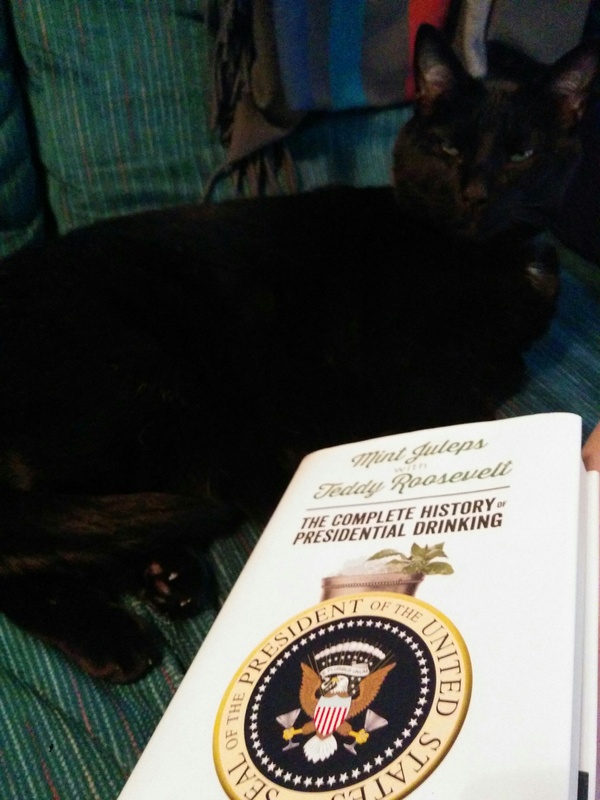 Each president is a chapter and the author picks out the best alcohol-related stories to be found on each. From those stories you tend to see a pretty picture of what drinking with any one president might be like. FDR might mix you a weak sippin’ cocktail, but Truman would assuredly have water with just a bit of bourbon flavoring. Obama would buy you a beer if you wanted, but if you’re in his company for dinner and late night cocktails there would likely be martinis close at hand. As enjoyable as I found it, it’s still fair to warn you that it mostly falls into what I call “bathroom reading.” It’s packaged in a way that its best read in short spurts. If you do happen to read it straight through you’ll find some of the stories overlap because of that. The advantage is it can be a really pleasant experience for the short-term reader who mostly wants to read the few chapters of their favorite presidents. I liked it a lot, just don’t expect a life-changing reading experience. You might find a new favorite cocktail recipe though! Thanks to Julie and Michael for getting me this book as a Christmas present.